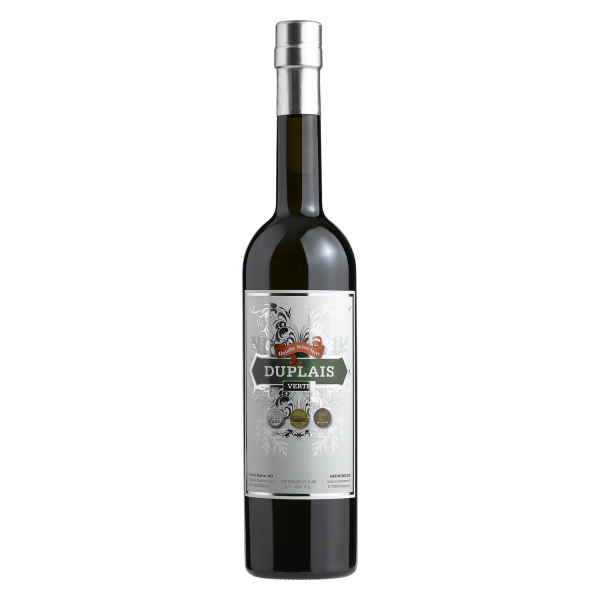 Absinthe Duplais is distilled by the Matter-Luginbühl distillery and has the distinction of being the first "verte" to be released in Switzerland since the lifting of the ban in 2005. Its recipe is based directly on the absinthe 'Suisse' protocols from the important 19th century French distiller's manual: "Traité des Liqueurs et de la Distillation des Alcools " by P. Duplais - which is where it takes its name. It is naturally colored with aromatic plants after the distillation. No artificials or short cuts are used. After a lot of research and attempts we managed to get the color pretty stable, but learned that light exposure has a negative effect on the overall aroma and taste after very little time. Therefore we recommend storing Absinthe Duplais in the dark. Absinthe Duplais was introduced in July 2005. It has become an internationally highly appreciated Absinthe since then. Time for us to upgrade the product anyway! We didn't touch the recipe, because we didn't want to change the character of Absinthe Duplais. So we started experimenting with herbs from different sources and found out, that some were superior than the others and worth the effort. The result is a much more intense flavour which truely represents the character of each herb. The most visible change is the completely reworked coloring step. After dozens of tests we are now able to create a stabile, yet natural green coloring. Many Absintheures asked for a wine base version of Duplais Verte, because we already did that with the Duplais Blanche and the effect is quite remarkable. Test with the Duplais Verte showed that it doesn't make a big difference. You may smell the difference when knowing it, however there's hardly any tastable difference. Therefore we decided to stay with the regular base alcohol and rather keep the price down. Gold medal for Absinthe Duplais at the International Wine and Spirits Competition 2006 + "Best in Class"
Related links to "Absinthe Duplais Verte"
Customer evaluation for "Absinthe Duplais Verte"